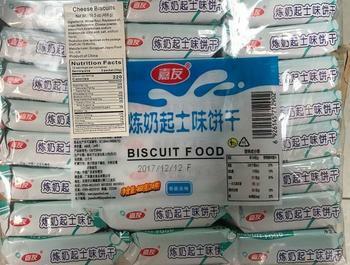 SDQ Trading of Brooklyn, N.Y., is recalling its 16.5-oz packages of Cheese Biscuits. No illnesses or allergic reactions involving the product have been reported to date. The recalled product, which comes in a 16.5-oz,, clear plastic package with UPC code 6926145712902, was sold in retail stores in New York state. Consumers with questions may contact the company at 718-453-3838.